Block of the Month kits are an easy, fun way to complete a quilt! This 10-month program is composed of monthly blocks and monthly components. 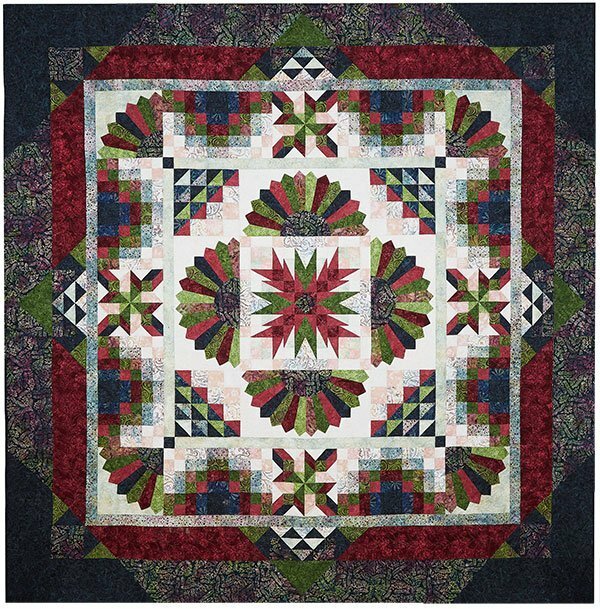 Each month in class, you will learn techniques to create one block of the quilt. Then you'll use that technique to finish the rest of the same blocks at home. In addition to finishing the blocks, you will have some homework to do. You will need to sub-cut fabric for the next class. This quilt is 108″ square when finished. Sewing machine in good working order (don't forget your power cord! ).